Earth science from the nature and causes of volcanic eruptions to the origin and diversity of microbial life in hot springs, to what we can tell about past climates from the fossil record: Discover Earth, Atmospheric and Planetary Science (DEAPS) Yellowstone, one of two pre-frosh activities offered by the department, provides a deep dive into life in Course 12. 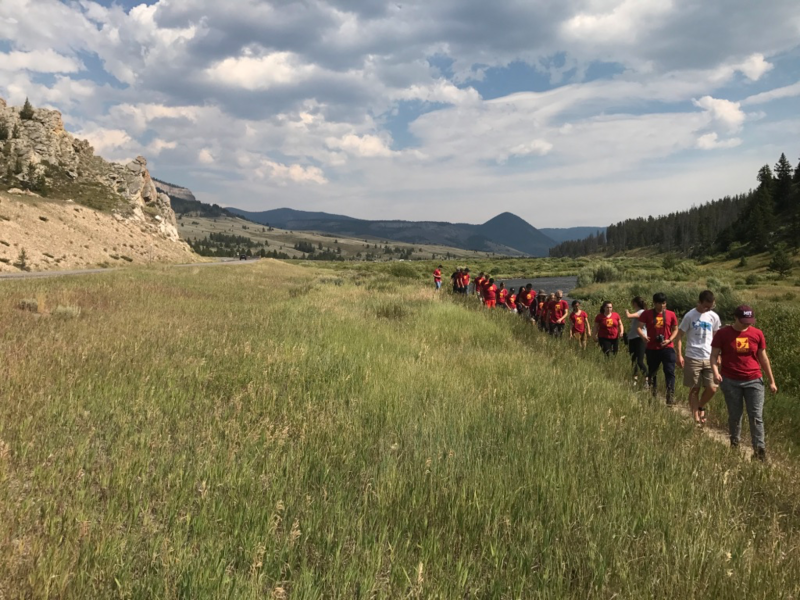 Before settling down to their new life on campus, 17 incoming freshmen, seven upperclassmen alumni of past DEAPS Yellowstone trips, together with five graduate student TAs, faculty and staff spent a week visiting Yellowstone and Grand Teton National Parks exploring, hiking, learning and making friends. The primary goal of DEAPS Yellowstone is to help incoming MIT students look with fresh eyes on the natural world around them, and begin to ask questions about how things came to be the way they are, wrap their heads around the deeply unfamiliar and long timescales of geologic history, and to recognize that our planet is a complex, restless and ever changing place subject to myriad fascinating, interconnected chemical, physical and biological processes, many of which are sources of active fundamental scientific enquiry in EAPS. 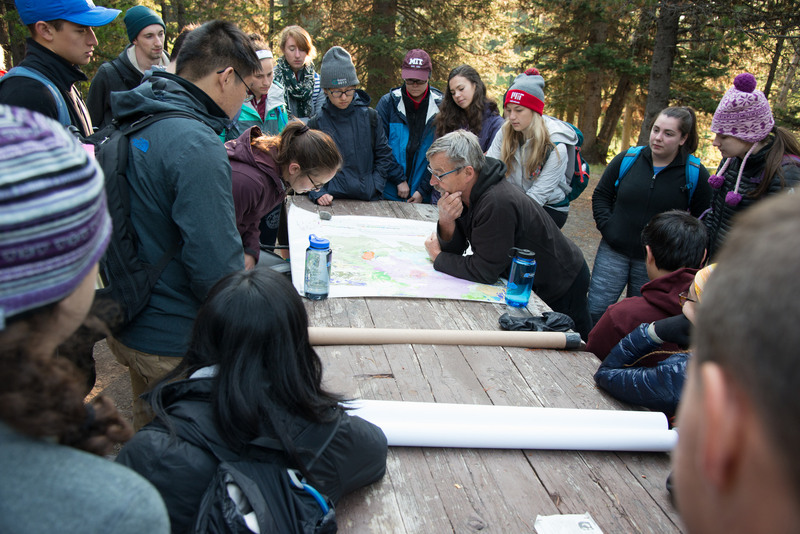 "Fieldwork is central to so many areas in EAPS. Being there gives a unique handle on the scales, complexity and intrinsic interconnectedness of the processes we study," says EAPS' Head Robert van der Hilst whose own research seeking to understand geological processes in Earth’s deep interior has taken him all over the globe. 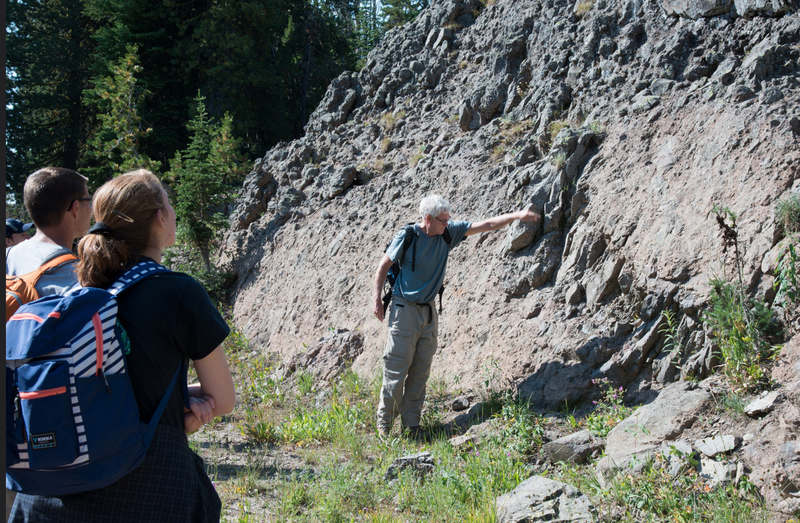 The trip introduces students, most of whom last studied Earth science back in grade-school, to the fundamentals of geology, including the lexicon of different rock types and geologic eras, the concepts of absolute time and the complete rock record; plate tectonics; how to read topographic and geologic maps; and processes large and small, fast and slow, inherent to hotspots, of which the Yellowstone caldera provides such a superb example. 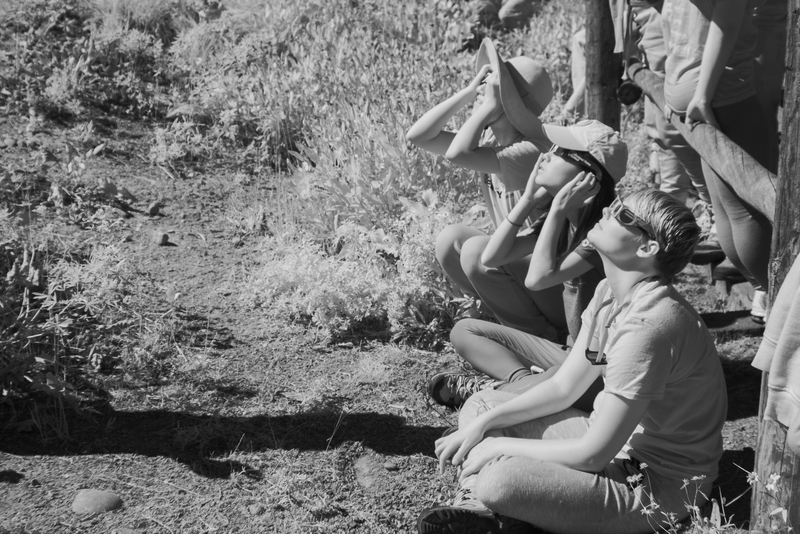 It also gives them a week in the company of their peers, under the Western sky, sleeping in tents, cooking on camp stoves, availing themselves of world class, on-demand, earth science instruction giving them a taste of EAPS’ undergraduate geoscience concentration and an inside look at what Course 12 has on offer. "This was the second time I've TA'd for this trip., says Maya Stokes, an EAPS graduate student in the Perron Group. 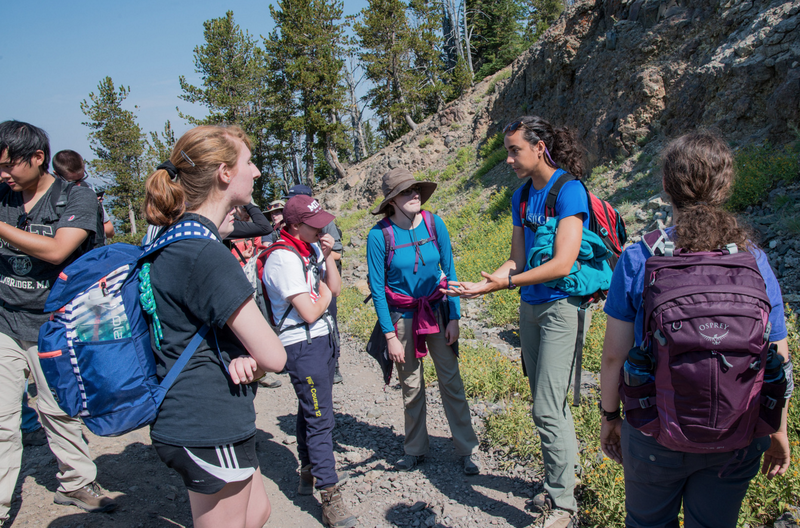 "DEAPS Yellowstone is an amazing and unique opportunity; a terrific way for freshmen curious about earth and planetary sciences to get a flavor of geoscience research MIT-style." 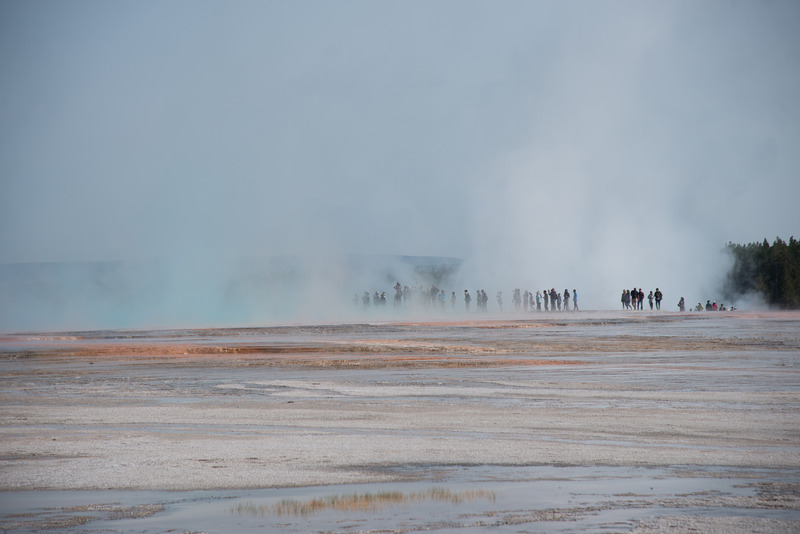 Chances are when you think of Yellowstone NP, you think about its geysers and hot springs, fumeroles and mud volcanoes. Famously, Yellowstone sits atop a volcano and the same magmatic heat that was responsible for the three catastrophic volcanic eruptions that formed the park as we experience it today, powers these beguiling and energetic features. Unsurprisingly then, a high point of the first full day spent exploring the park was a visit, via boardwalk, to Mammoth Hot Springs, a spectacular complex of hot springs on a hill of travertine laid down over thousands of years as hot water from the spring has cooled depositing calcium carbonate. Followed by visits to Norris Geyser Basin, Mud Volcano, Old Faithful and Grand Prismatic, the week was rich with opportunities to learn about the exotic geochemistry and geobiology of these unique systems and reflect on the volcanology responsible for them. The undoubted high point of this year’s trip was the opportunity, after an especially early start to beat the traffic and get in place ready, to view the August 21 total solar eclipse from Signal Mountain in Grand Teton National Park. Under clear skies and with an incredible view of the Tetons to the west across the Jackson valley, the period of totality, which began at around 11:30 in the morning, lasted for a little over two minutes, revealing the spectacular detail of the sun’s corona to the unaided eye. 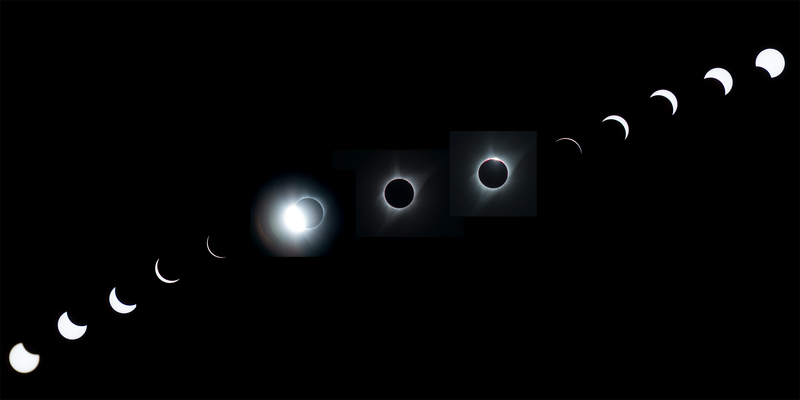 Composite image of the eclipse from Signal Mountain, WY, Discover EAPS viewing location. 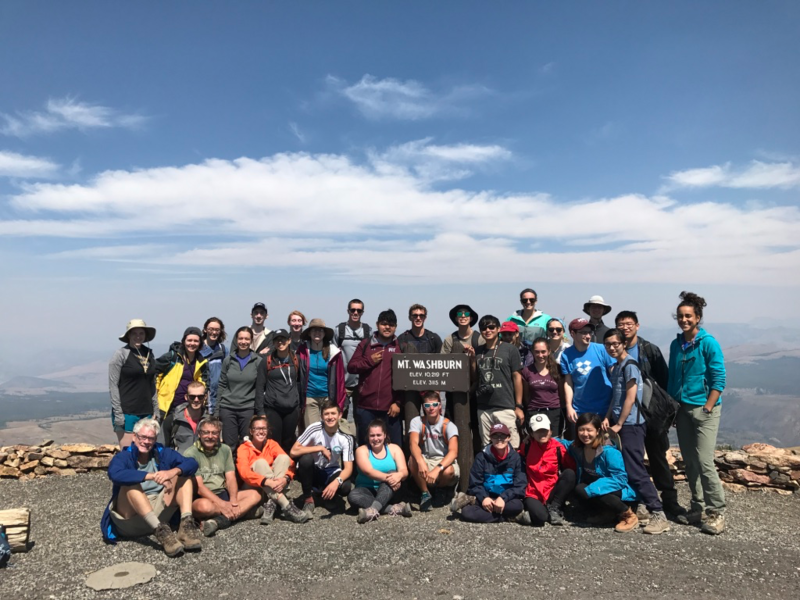 While the majority of the sites visited were either road side stops with short walks to the locations of interest or drive-bys, the trip also included a couple of longer hikes, among them the 8.5 mile Specimen Ridge hike, and a 6 mile hike to the top of Mt Washburn. Within Specimen Ridge, exposures of the Lamar River Formation are well known for their fossils of upright standing, petrified tree trunks and multiple beds containing buried petrified forests and petrified wood concentrations. At just over 10,000 feet, Mt Washburn, a prominent peak flanking the park’s volcanic plateau offers views overlooking much of the northern section of the park towards the Teton Range. This year’s trip was led by EAPS Associate Department Head Tim Grove accompanied by EAPS Department Head Rob van der Hill, aided by graduate student TAs Maya Stokes, Sam Goldberg, Max Collinet, Marjorie Cantine, and Stephanie Brown, with help from Course 12 undergraduate upperclassmen leaders Matthew Rushlow, Liza Boles, Megan Goodell, Sophia Tiggs, Jonathan Hurowitz, Kevin Carlson, Christopher Hughes. Staff members accompanying were DEAPS Yellowstone veterans Vicki Mckenna and Annora Borden. EAPS also offers Discover Earth, Atmospheric and Planetary Science Extreme Weather and Climate. You can read about DEAPS ExW&C 2017 HERE.